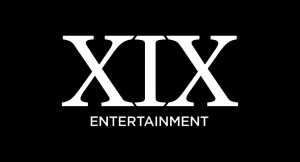 XIX Entertainment today confirms that it has entered a relationship with Facebook for the social media platform to deliver an English language version of the ground-breaking teen drama hit SKAM. The announcement was made today at MIPCOM 2017 by Facebook’s Head of Creative Global Strategy Ricky Van Veen who confirmed that the deal will deliver the new season of Skam (the first in English language) to be available on Facebook’s Watch platform. Watch is available on mobile, desktop, and Facebook’s TV app. The US production of Skam will be executive produced by Simon Fuller. “When I first heard about Skam, it felt like I was seeing the future of storytelling. We’re incredibly enthusiastic about bringing it to global audiences on Facebook Watch”, said Ricky Van Veen, Facebook’s Head of Creative Strategy. Simon Fuller of XIX Entertainment added: “Skam is an important and innovative show created by the brilliant Julie Andem. From the first moment I heard about it I thought about Facebook as my partner. Facebook Watch, with its inherently social components and passionate community of fans that surround it, is the absolute perfect partner for Skam. I’m very excited about the global power of this combination and excited for all the things we can achieve together. The Norwegian language version of Skam has run through four seasons on NRK in Norway, gaining critical acclaim, Awards and becoming the biggest Scandanvian TV hit of the last two years. Amy Nickin from Frankfurt Kurnit Klein & Selz brokered the deal on behalf of Simon Fuller and XIX.